Bella Cavicchi – Mansfield High School – heading to Brown University in the fall and planning on majoring in the arts, probably theater. In her essays, Bella talked of her love of theater and vowed always to be a lifelong advocate of the arts. She’s one of MHS’s top ten graduating students academically. Elias Solis – Mansfield High School – heading to Brown University in the fall as a theater education major. Elias wrote very eloquently about how acting and being part of the theater community helped him discover himself. His career goal is to work in or teach theater. 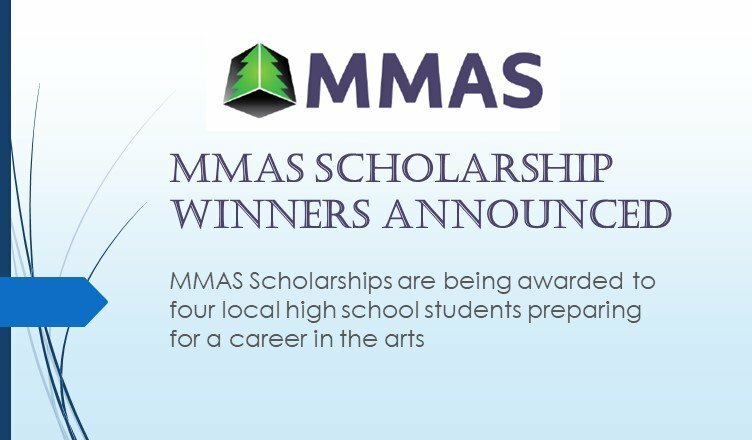 Jillian Hobaica – Mansfield High School – heading to the University of Miami as a music major. Jillian has been writing songs since she was twelve years old. She knows “unequivocally” that she wants to spend her life creating and performing music. Geoffrey Rosenthal – Sharon High School – heading to SUNY Oneonta as a music industry major and audio minor. He has been involved in the open mic nights at MMAS. He presented an extensive resume of performing and also promoting music in the Boston area. 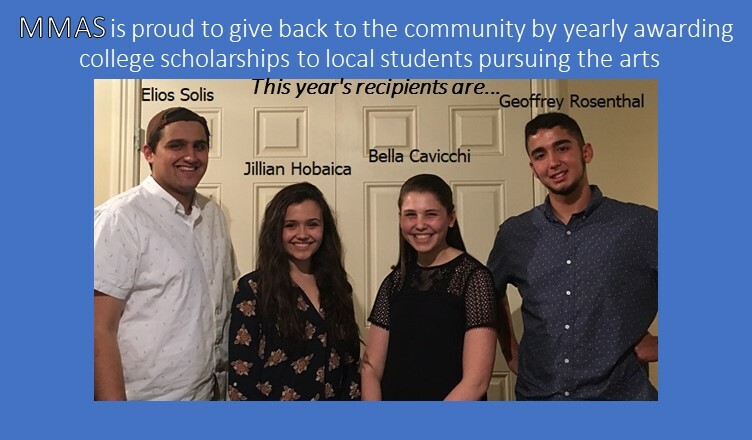 Congratulations to these four great kids!